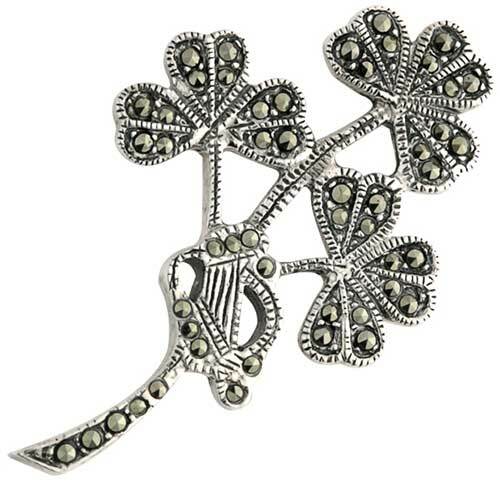 This shamrock brooch has been hallmarked sterling silver by the Irish Assay Office at Dublin Castle in Ireland. 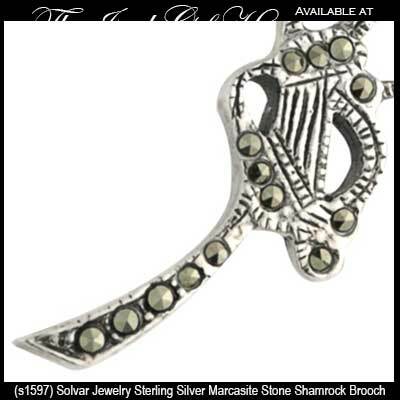 This sterling silver shamrock brooch features an Irish harp on the stem and it is accented with marcasite stones. 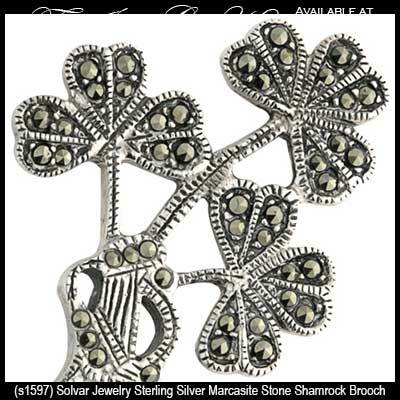 The shamrock sprig brooch measures 1" wide x 1 5/8” tall. The Irish brooch is made by Solvar Jewelry in Dublin, Ireland and it is gift boxed with shamrock and harp history cards, complements of The Irish Gift House.